How well do you see the world around you? With UltraHealth take your life back and see in a new way filled with clarity and comfort. No more lenses popping out. No more irritating dirt. No more cloudy vision after a few hours of wear. And, the same size as a soft contact lens. UltraHealth is the most advanced technology hybrid contact lens for keratoconus! 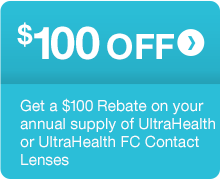 UltraHealth FC is also available for post-refractive surgery patients. The oblate base curves offered in this addition to the UltraHealth family of lenses are well suited for post-Rk, post-LASIK and other cornea trauma conditions. 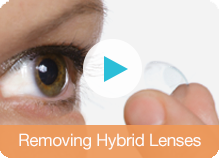 The new Tangible Hydra-PEG coating can now be ordered on UltraHealth lenses to enhance your lens wearing experience; Tangible Hydra-PEG patients describe all-day comfort. All-Day Comfort—The soft silicone hydrogel material that surrounds the GP portion of the lens is a similar material as a soft contact lens. 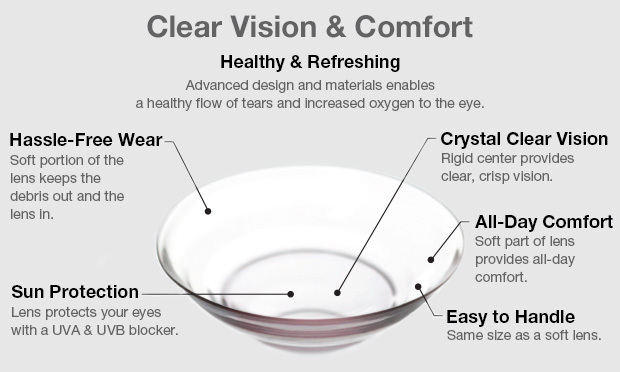 The lens is designed to allow for ongoing exchange of tears under the lens adding to the all-day comfort. Hassle-Free Wear—UltraHealth is the same size as a soft lens, making it more familiar to handle, while the soft portion of the lens keeps the debris out and the lens in.